“Meanwhile, the outlook is more positive for Canada, which promises to be one of the fastest-growing markets in terms of container trade across the Americas this year,” said Omar Shamsie, president of Maersk Line North America. To handle the incoming container traffic, the ports of Vancouver and Montreal are planning big expansions. 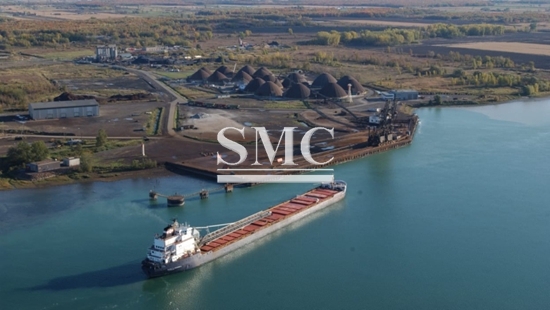 Infrastructure will need to be constructed to connect the Canadian terminals with the large market of the U.S. Midwest. The Canadian National Railway is investing hundreds of millions of dollars to build capacity and add trains to the network from Vancouver to Toronto and Chicago. The terminals will implement cutting edge technology to improve efficiency and gateway fluidity. Vancouver will use GPS tracked trucks and electronic transmissions from rail track readers. Montreal will implement predictive analysis to provide predicted truck turn times to drivers and dispatchers. The terminal expansion in Vancouver has been controversial for environmental reasons, with the Roberts Bank Terminal 2 project being deemed harmful by Environment and Climate Change Canada. “Without Terminal 2, Canada will run out of capacity on the west coast. There is nothing else anywhere in the planning and permitting process that could deliver capacity for demand by the mid 2020s,” Port of Vancouver CEO/president Robin Silvester told the local newspaper. Despite the container market boom, there is disagreement regarding how to effectively grapple with the incoming traffic, with Montreal’s Contrecoeur port competing with Quebec City’s Beauport and Nova Scotia’s Halifax, Dartmouth, and Novaporte ports. Quebec City’s Beauport terminal, if completed, will be able to handle 750 000 TEUs, with a possible expansion of 1.5 million TEUs, and will handle ships carrying 15 000 TEUs with a depth of 15 meters. At SMC, we strive to remain at the forefront of the shipping container market. We offer ISO standard container, equipment container, and even container house. For more information including specifications an price please click here.